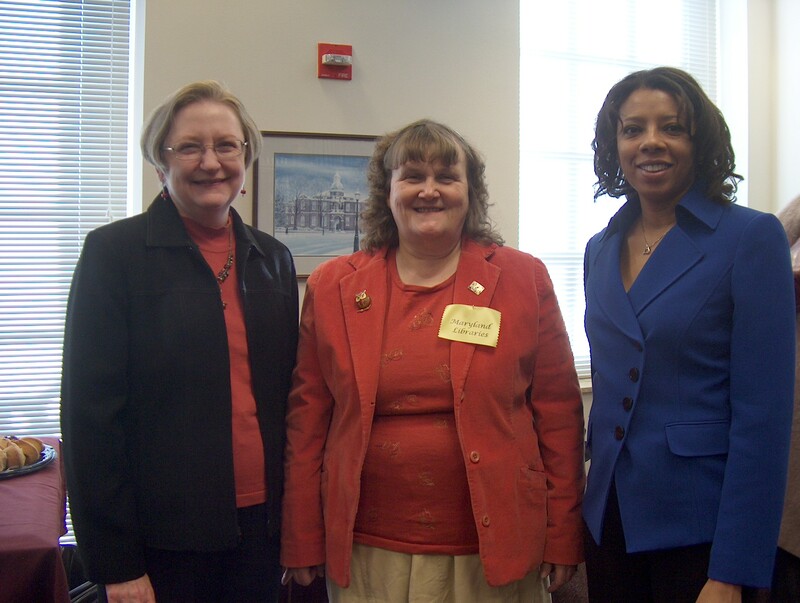 On February 23, 2011, librarians from across the state came to Annapolis for the Maryland Library Association’s Maryland Library Day at the legislature. LLAM was represented by members Joan Bellistri, Jackie Curro, Pat Behles, Susan Herrick, Tonya Baroudi, and Janet Camillo. For the past few years, the Anne Arundel County Public Law Library has been the gathering spot for librarians to prepare for their day in Annapolis. The first task of the day was to prepare the packets for distribution to the legislators. The folders were already filled with statewide information including the LLAM brochure. Each county brought local information specific to their county to add to the folders. Circuit court law libraries were able to add information to the county side of the folders as well. Bags of candy, chocolate turtles, and Maryland library buttons were also distributed to be handed out with the information packets. 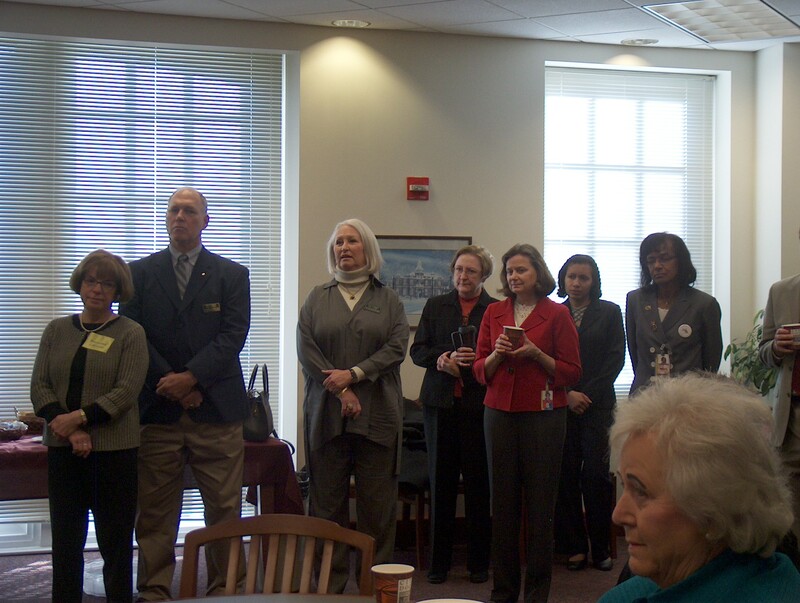 The group then headed to the statehouse to hear Maryland Library Day proclaimed in the Senate. The gallery was packed, as it was also the day that the Senate debate on the gay marriage bill was to begin. Those who were able to get a seat did find it a bit more interesting to remain in the gallery after the proclamation than in past years. Librarians then formed into county groups and began visiting their delegations. Some librarians were able to break for lunch at the Reynolds Tavern across the street from the courthouse – a fitting location, as it once housed the Anne Arundel Public Library in Annapolis. The AACPLL’s “reading room” became the break spot for librarians throughout the day until it was time for the reception held in the Senate Office Building, where there was a good turnout of legislators and librarians. 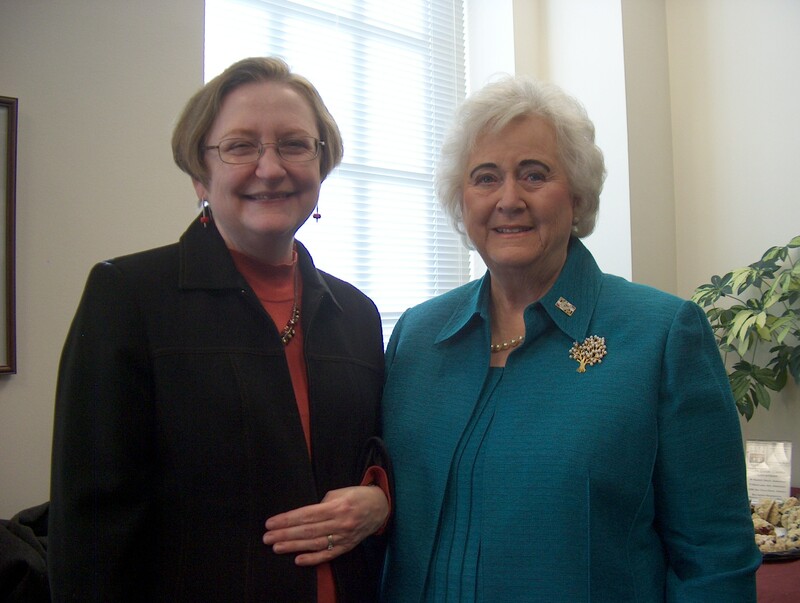 This reception traditionally is another means for librarians to promote libraries to legislators,and also for librarians to talk with each another. The day on the whole is also a great opportunity for law librarians to make connections with and support our colleagues in other Maryland libraries.